Success comes in all shapes and sizes. I am so incredibly excited to share with everyone our brand new weekly blog series: Artist Feature Friday’s. WOOHOO! So, tune in every Friday for interviews with artists all around the world at ALL stages! From beginners to seasoned professionals- we want to share it ALL! Who’s excited? Alright! Our first featured artist is Marie Murphy. She is an outstandingly talented artist (like for real guys…we’re talking some major talent here), who lives in Ireland. We first saw her work when she submitted for our first makeup challenge ever, and our entire team was completely in awe of what she would create. So much so that she won the American Horror Story category of our first challenge with Eryn Krueger Mekash and Mike Mekash as the judges. Ever since then, we have been watching her career just flourish before our eyes! But don’t let that fool you, she is here to tell us all about her ups AND downs. And guess what?! Through all of her successes, she still lives in a small town in Ireland where the population is only 1,000! If she can do you, YOU CAN TOO! (What It Takes) 1.Tell us a little bit about yourself! (Marie Murphy) I’m from a tiny little village in Ireland called Carlingford which has a population of about 1,000 people! I’ve been doing makeup my entire life, when I was 5 I asked Santa for a makeup kit and was devastated when I got plastic toy makeup instead of real grown up makeup! Professionally, however, I have been doing makeup 7 and a half years! 2. You have had such an incredible journey in just the last 2 years, it has been amazing to watch your career just soar! Tell us a little bit about your journey! When I returned home from Los Angeles I was offered a job with Disney working as a makeup artist for their new show called The Lodge for the Disney Channel which was a phenomenal experience, I worked on all the music videos and some of them now have over 5 million hits! In 2016 I ended up working with the band Motionless In White, doing makeup for gigs, interviews and magazine articles in the UK & Ireland, I was a finalist in the 2016 NYX UK & Ireland Face Awards which was an incredible experience. I’ve been offered lots of jobs teaching Irish students some of my skillset I have learned along the way such as beauty, theatrical, airbrush and out of the kit special fx and I most recently got hired by Kat Von D beauty here in Dublin and won a staff competition to fly to London to get trained by her team The Artistry Collective! 3. It’s amazing what you have accomplished, especially being selected on the Kat Von D Dublin team! How has that been? Honestly it’s been amazing so far, I have had some amazing opportunities and the Kat Von D makeup has been my favourite makeup brand since it launched all those years ago and its always been my dream to work for the company! I’m only with the company 3 months and already absolutely love it! 4. Sometimes artists think once you get a “big break” that you won’t ever struggle again, but that doesn’t always seem to be the case. Even with your major accomplishments, Do you still have moments of discouragement? Are you even a makeup artist if you dont constantly have moments of discouragement?! haha! I do, however I keep pushing myself knowing that I’ve came this far and I am meant to do makeup in life and I certainly push any thoughts of discouragement out of my head, at least for the most part because you really never know what opportunities are on the horizon! 5. Were there a lot of experiences at the beginning that left you feeling discouraged and doubtful? Very much so!! In 2013 I was a finalist in a competition called the Illamasqua Distinction in Makeup Artistry Awards and at that time I was only doing makeup 3 years and the awards ceremony was a pretty huge deal back then, I was picked out of hundreds of entries to fly to London to apply makeup on stage in a theatre live infront of a crowd of people and a judging panel. I genuinely thought that this was my big break, that my career was all leading upto this and I didn’t win. I was heartbroken as I thought that was my one big chance to make my mark in the makeup world and I didn’t think anything would ever come close to that again. (LITTLE DID I KNOW). I decided that the outcome of that competition wouldn’t chip away at me so I decided to work even harder to be the best artist I could be. I am so so glad I did not win that competition now! It taught me not to be discouraged as you really have no idea whats around the corner! 6. What do you do to stay motivated during these times? I think back over the span of my career and see all the times I fell at the hurdle and got back up again and I know that I am capable and good enough to keep going! 7. A lot of artists feel as if they cannot reach their major goals if they don’t live in LA or NYC, but I think you are proving this wrong out in Dublin! What advice would you give to someone who feels that they can’t “make it” unless they move to LA or NYC? Listen.. I grew up in rural Ireland surrounded by sheep and cows and the nearest grocery store was a 30 minute drive away! If I can get to where I want to be anyone, ANYWHERE can! I think making it in large cities like LA and NYC are probably so much more difficult as the competition within the field is HUGE, starting at home is probably the best place to start and work your way up and one day you might get the call I got to say to pack my bags that I’m off to LA! 8. What has been something you have learned over your career that you would like to share with someone who aspires to be a successful makeup artist? To never stop learning. Ever. I am doing makeup over 7 years and I am still learning every day and looking to learn more!! I am never satisfied with my work and I am always looking for ways to improve, to be the best makeup artist I can be! I am not even close to being there yet! ​9. You were one of our winners for our What It Takes challenge, tell us about your experience with that! When I heard the challenge was American Horror Story and the judges were Eryn Krueger Mekash and Mike Mekash my heart stopped! I am a HUGE American Horror Story nerd! Ever since the first Season I have been obsessed with it (in the healthiest way possible!) I HAD to enter!!! I just wanted them to see my work, if anything. I created two characters to enter with as I really wanted to win the challenge or at least get into the top 10! I did a Twisty face paint (which still terrifies everyone!) and a foam latex prosthetic makeup. When I found out I won joint first place I was sooo happy!! I received a video from Eryn and Mike from American Horror Story about my work and that was absolutely incredible! American Horror Story started in 2011 which was just one year after I started makeup, so if you told me back then that the dept heads of AHS would be making me a video about my work in 6 years time I would NOT have believed it!!! So thank you Amber and everyone at What It Takes for that amazing opportunity!! 10. Lastly, what advice would you give to aspiring artists who are at a point of struggling to keep pushing forward in their careers? Work from the bottom up, Ive done it! Assist other artists, take courses to add to your skill set, constantly practice to become the best makeup artist you can possibly be! What an inspiring story, right? You guys… we can literally do ANYTHING. Keep your head high, and never stop dreaming. NEVER stop believing in yourself. Be sure to check out our website www.whatittakesfilm.com where you can find free workshops, inspiration, and freebies! 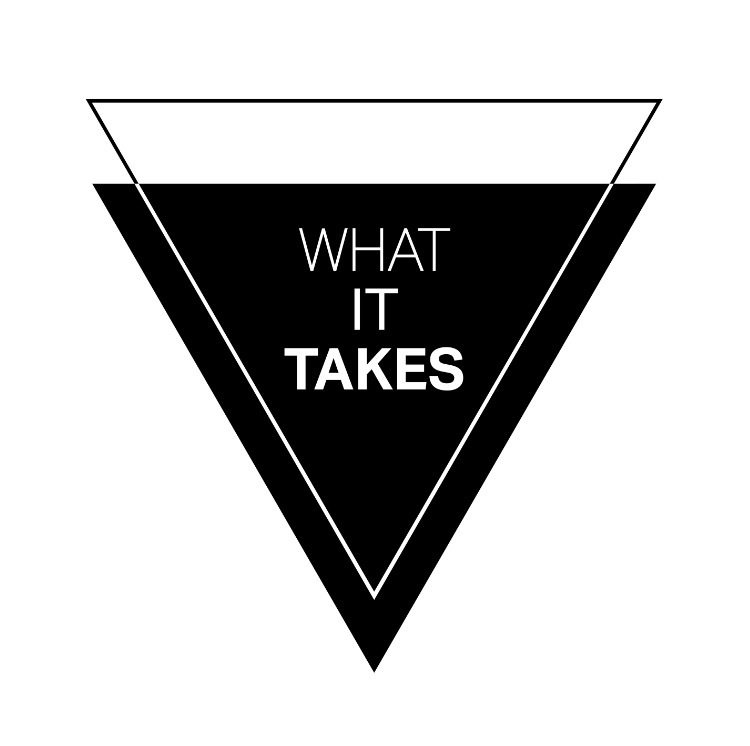 Also, get your copy of our film What It Takes on either DVD or Digital Download. It is jam packed with nothing but passion, motivation and inspiration for those of us pursuing this crazy industry of makeup!